Baapi is a tea vendor on Hill Cart Road in Siliguri. He has a small cart, which he pitches under a tree. He says he earns somewhere between Rs 800 to Rs 1,200 daily. The 29-year-old father of two hails from Raiganj, but has lived in Siliguri since he was 13. 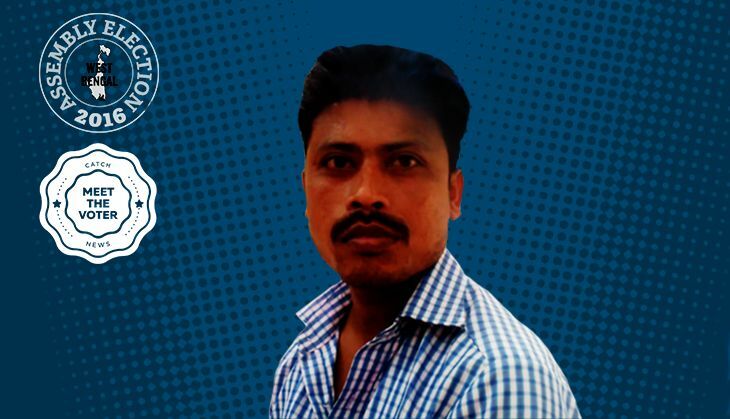 He worked as a garbage collector in a nearby residential locality before he decided to start his own business. Baapi is going to vote for Bhaichung Bhutia, the Trinamool Congress candidate from Siliguri. "Bhaichung is young and dynamic, and exactly what this city needs. He is a youth leader and has promised to bring in employment and opportunities for the youth of the city," he says of the legendary former football player. Baapi says Bhaichung has the right intentions for the city and certainly deserves an opportunity. According to him, owing to Bhaichung's popularity, more businesses and industries will be drawn to the city. "It can even be a sports city," he says. The former India captain's chief rival in the city is the CPI(M)'s four-time MLA Ashok Bhattacharya, who has a massive following. But Baapi feels the city needs a change. "As the generation changes, so must the politician." More in Catch - West Bengal polls: Kharagpur loved Modi, but will it vote for BJP?